Pianist and composer working as a band leader as well as a sideman. A healthy appetite for different musical expressions has led to work in modern and mainstream jazz, in free improvisation and in indie music as a synth/Wurlitzer player. The debut album AT FIRST (ILK) was released in 2013 and received widespread critical acclaim for its blend of modern jazz and a love and awe of late romantic and 20th century classical piano music. The upcoming release THE LARK (WhyPlayJazz RS028) presents an elaboration of the trademark melodicism displayed on the debut. Born and raised near Aalborg in the Northern part of Denmark, Søren Gemmer by no means took to music early on. Being an avid personal computer enthusiast (when those where just getting personal) and an avid reader from an early age, Søren engaged in musical activity from a visual perspective, conceptualizing about music rather than paying any sort of attention by ear. Not until being caught by the allure of the rock drummer fantasy in local bands did the true emotional potential of music present itself to him. It is this duality of cognition and emotion, complexity and simplicity so to speak, and the challenge of balancing them that eventually drew Gemmer to become a musician. Since 2009 he has been living in Copenhagen, Denmark. He is currently completing his Advanced Postgraduate Diploma specializing in adapting stylistical elements from 20th century composers Messiaen and Ligeti into modern jazz composition and improvisation. Collaborations and sideman appearences include live work with film maker, poet and national icon, Jørgen Leth, a raft of Danish jazz’s ‘Who’s Who’, Gilad Hekselman, Palle Mikkelborg, Thomas Agergaard and a couple of utterly coincidental, yet successful, appearences with the Danish Radio Big Band. 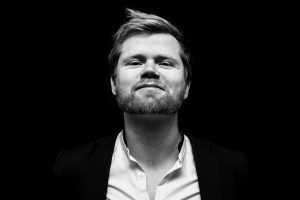 He has studied with jazz pianists Jacob Christoffersen, Nikolaj Hess, and Anders Persson, improvisers Torben Snekkestad and Kresten Osgood, as well as renowned classical pianist and educator Anne Marie Fog. Listing of live and studio work as a band leader and sideman.